MR Engineering is committed to providing a workplace free from hazards by complying with the standards, rules and regulations of the industry. This company is also committed in preventing any loss of its resources, including workers and physical assets. 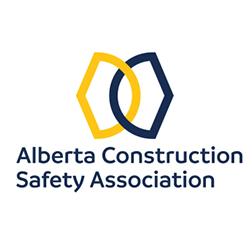 MR Engineering has achieved Certificate of Recognition (COR) through Alberta Construction Safety Association (ACSA), which demonstrates that company’s Health and Safety Management System (HSMS) has been evaluated by a certified H&S auditor and meets provincial standards established by Alberta Occupational Health and Safety. To fulfill this commitment to protect both people and property, management provides and maintains a healthy and safe work environment in accordance with industry standards and in compliance with legislative requirements. MR Engineering strives to eliminate any foreseeable health and/or safety hazards which may result in property damage, incidents or personal injury/illness. The information stated in the policy does not take precedence over applicable legislation. All workers (top management, discipline managers, employees) are equally responsible for minimizing incidents within the workplace. Safe Work Practices and Safe Job Procedures are clearly defined in the company Health and Safety Manual for all employees to follow. Incidental loss is being controlled through good management in combination with active worker involvement. Safety is the direct responsibility of top management, discipline managers and employees. All management activities comply with company’s health and safety requirements as they relate to the planning, operation and maintenance of facilities and equipment. All workers perform their jobs properly in accordance with established Safe Work Practices and Safe Job Procedures. Management supports coordination of safety among all workers in the workplace. Management also supports and requires participation in the program by all employees and provides proper equipment, training opportunities. Management communicates all safety hazards to employees. Employees are responsible for following all practices & procedures, working safely and improving safety measures wherever possible. Each employee has the right to refuse any work that he or she deems unsafe. It is the responsibility of each employee to report any safety concerns or deficiencies to management. Visitors shall review safety instructions for any area they are visiting and help to protect their own and other’s safety. As part of the ongoing improvement of the H&S system, MR Engineering has diligently incorporated several areas of excellence into the everyday corporate culture: Company Health & Safety Policy, Workplace Hazard Assessment & Control, Safe Work Practices, Safe Job Procedures, Company Rules, Personal Protective Equipment, Preventative Maintenance, Training & Communication, Inspections, Investigation, Emergency Response Preparedness, Records and Statistics, Legislation, Alcohol, Drug & Safety. MR Engineering's commitment is portrayed through the program documentation, observations, interviews and the dedication of the staffs. In a very demanding and consistently evolving industry, MR Engineering takes great pride in knowing that safety achievements are due to the ongoing efforts and the dedication of the program by management, supervision and the workforce. The excellent safety record and active involvement of all employees in the program is absolutely wonderful and a contributing factor to the company’s safety success. MR Engineering offers a breadth of multi-discipline professional services that accounts for design, engineering, procurement and support services for all facets of industry. This is a Canadian based company, stationed in Edmonton, Alberta. Copyright © 2011- 2018 MR Engineering Limited | All Rights Reserved. | Marketing & Design By Rapid Boost Marketing.